Yesterday the Independent published an OpEd that discussed ways to try and start creating housing supply in areas that needed it – principally some urban centres, particularly Dublin. It gave ideas grouped around land and sites, planning, costs, regulations, finance, and alternative solutions. The piece was written by Karl Deeter, Ronan Lyons, Frank Quinn, Lorcan Sirr, Peter Stafford and myself, six regular media commentators on Irish housing. The idea was try and see if six people who hold different views on housing and planning could reach a consensus position that provided practical solutions to creating supply. The ‘rules’ were all the instruments suggested could be introduced quickly and with minimal or no legislative changes and it all had to be said in 900 words or less. Inevitably, the list of solutions produced was a compromise and writing such a piece is an exercise in politics and principles. No signatory on the piece is fully subscribed to each potential solution and all had to concede ground. From my perspective, I have problems with removal or reform of Part V, I’m cautious about bringing aspects of Dublin planning regs in line with the rest of the country and the reduction of development contributions. But I’m happy to see the use of the term housing sector not market, the advocacy of social housing and associated HFA financing and a reversal of the cuts to capital spending, and the ‘use it or lose it provisions’ on planning and land zoning. I’m a little cheesed off that the Indo editors altered a couple of bits of the submitted piece, especially removing the phrase the “inventions should be time delimited”. Some of the critique of the proposals on twitter and email has been that they overly favour market and developer interests. There is, however, I think some degree of balance. Ideas such as derelict/vacant site tax and a more aggressive use of the Derelict Sites Act are not in land owner/developer interests. Moreover a range of interventions favoured by such interests were kept off the table: tax incentives, reduction of construction labour wages, radical laissez faire change to the planning system, alterations to build quality, radical changes to density targets, and state provision of housing. What the piece hopefully does is move the discussion on from diagnosing the problem to practical solutions and towards action. It provides a selection of options that can be debated and I would welcome counter-pieces. If the piece does that, then it has done useful work. At the same time, we also need to move towards action. We have a real problem that has real consequences and is quickly getting worse, yet very little is being done to address the issue. We therefore need that action soon, not in two or three years time. If that requires compromise solutions, then I’m prepared to consider them. And as this exercise proves, other interests are too. What we can’t afford to do is nothing. The newspapers at present are full of talk of the resurrection of the housing market and the growth of house prices in Dublin. It seems that housing market is finally stabilising and that the long waited for market correction is starting to take place. Moreover, it is being suggested that we need to start building residential units again and to zone more land in Dublin (this is despite the fact that 2,575 hectares (6,400 acres) of serviced residential land is zoned in the four Dublin local authorities for 132,166 units). The shortage of family homes in some parts of Dublin is just one aspect of a very unhealthy housing landscape. What we really need right now is not a knee-jerk reaction but a proper housing strategy that guides addressing the various problems facing the Irish housing market and plans future housing provision. This housing strategy needs to do a full assessment of the issues above, along with suggested solutions that include planning and finance, plus develop models of where new housing might need to be built given expected demand based on trends in demographics, economic conditions and labour market change. Together, these assessments should be used to map out a plan of action as to getting the Irish housing back in to some kind of order. This strategy does not need to be years in the making. With some coordinated action it could probably be prepared in a few weeks using in situ expertise and resources. What it does require, however, is some government action to spearhead such an initiative. Without this, how the housing situation unfolds will be ad hoc, uncoordinated, and likely to reproduce and extend the present problems. Shanghai on Shannon: Will it happen? 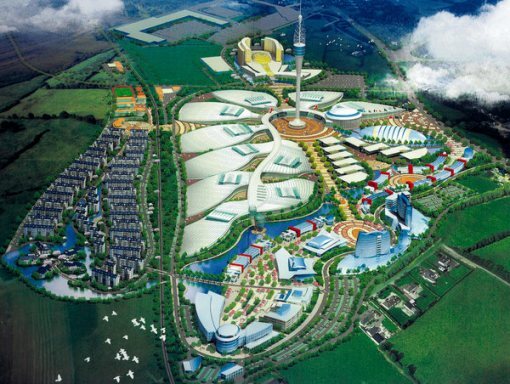 We first posted on possibility of a Chinese trading hub in Athlone in Nov 2010, noting how the idea for the development managed to achieve some momentum through political networks. Interestingly, those networks were predominately Fianna Fail-centric and reeked of the ‘Galway tent’ mode of doing business, but are now a lot of less potent. 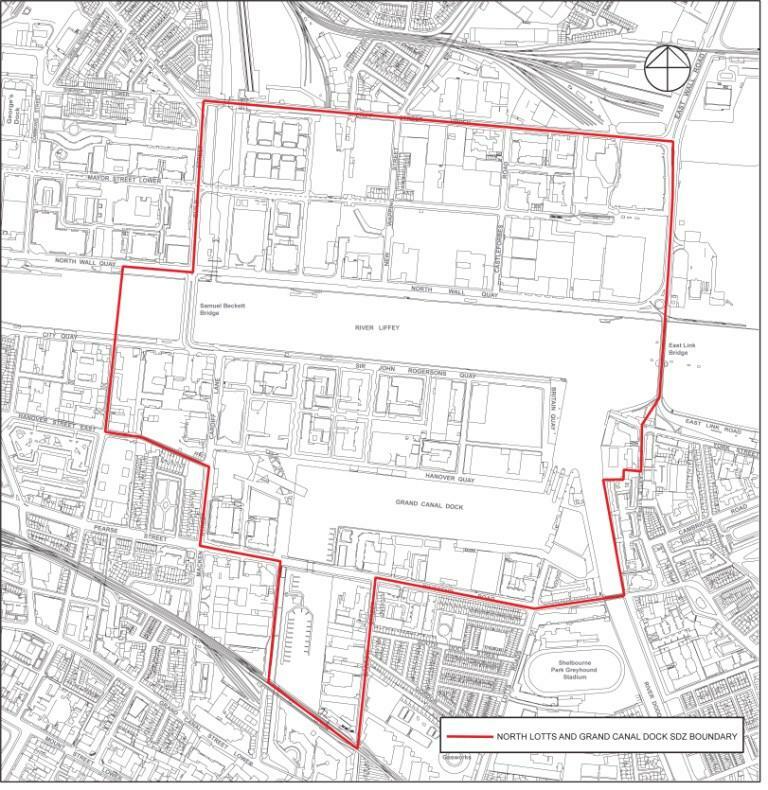 Yesterday An Bord Pleanala gave planning permission for the first phase of the development – to include three major exhibition halls, nine minor ones and other facilities totalling 102,348sq m (1.1 million sq ft), as well as underground parking for more than 1,300 cars. There are a number of questions that the proposed development raises. Very big. The site is 337 acres. An Taisce estimates that development once complete will be 14 times the combined size of Liffey Valley and Blanchardstown shopping centres. It aims to attract 1.5 million international buyers and visitors annually when fully completed and employ up to 9,000 people. It would be one of the largest exhibition spaces in Europe. The main issue with regards to this size will be servicing – adequate utility and transport infrastructure to ensure smooth running; this is feasible with good planning though there are some site issues as discussed below. Does it align with spatial planning policy? Yes. Athlone is a gateway town in the National Spatial Strategy. This means it is designated as a preferred site for population growth and economic investment. The key issues here are finance, political and state backing, other local development, and external competition. If the project is going to be backed purely by Chinese capital looking for a spatial fix in Europe then the project is solely dependent on that finance being made available to fund the development. This seems, however, to be unlikely. Private investment is going to want to leverage finance and resources from the local and national state through in-kind provision of infrastructure and state aid to companies via IDA and others as with other FDI-backed ventures. The state, and its various agencies then, is going to need to decide whether it wants to provide matching monies to help seed the larger investment. Clearly local agencies are already backing the project with some resourcing. The developers are also likely to need other private investors to spread the risk and its not clear if such investors have already signed up or will need to be found. Beyond the project site itself, as an international trading hub transport infrastructure is going to be key. Athlone is some distance from the two main international airports, Dublin and Shannon, and the travel to the site by coach/rail is a hindering factor for both the visitors and goods. The solution proposed locally, as we posted about previously, is the development of an airport near to Athlone. This has already been granted ‘strategic infrastructure’ status by An Bord Pleanala in Sept 2010. The same questions about finance and state backing arise with respect to this project, but the two developments do seem co-dependent. There are other competing locations for such a Chinese trading hub, with other sites being explored in Britain and continental Europe. 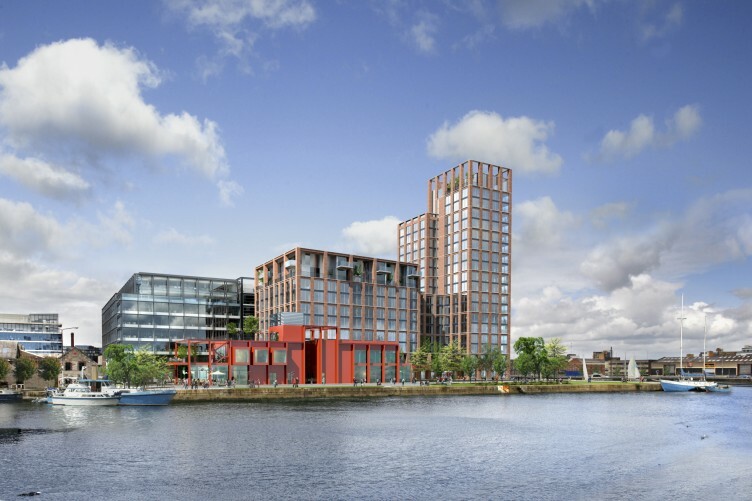 It is unlikely that there will be multiple such dedicated sites, so the consortium is going to have to convince investors that Athlone is the best location. Athlone is a gateway town and it would be a fantastic development for the area if it happens. However, location and particularly transport connections are an issue. In a European context, Ireland is on the periphery of the continent and is dependent on air/sea for travel. Whilst other FDI has been able to thrive here with such dependencies, these companies are not solely reliant on massive, daily international flows of visitors and goods. That’s one of the reasons we do not already have a large, thriving, international exhibition sector. In an Irish context, it would make sense to locate the site nearer to already existing air/sea infrastructure. The obvious location would be Limerick/Shannon/Ennis where there is already an established international airport and sea port for container shipping. Clearly this will not suit the Athlone backers, but might be a determinate as to whether investors think the scheme is viable. In my opinion, the Athlone project is largely a Field of Dreams idea that has managed to gain some momentum. Whether it materialises into the development envisaged is certainly not assured and there is a long way to go to make the dream a reality.